So far we have avoided an appraisal of the critique of Chapter 6 that was offered at the time by the Global Commons Institute and other outsiders. We have also avoided an appraisal of the treatment of this critique by the expert authors in the IPCC process. While something should be said of the latter, it is difficult to avoid in such a discussion an evaluation of the economic methodology in question. When faced with the ravings of a ‘crank‘, with (as one interviewee advised) ‘little understanding about economic systems,’ there is only so much polite listening that can be expected of the expert economists called in to do the Assessment. All the more so when political motivation is apparent. Can we dismiss the GCI critique as a silly campaign of misinformation and abuse? Or does it contain something solid that hits hard at the science behind the Assessment? Answers to these questions require economics expertise to which this blog can only aspire. What to do? With a view to reduce misinformed criticism (and notwithstanding many other concerns) this final post on the Price of Life Controversy restricts discussion of economic methodology to the key concerns raised in the controversy at the time, including many noted in the Assessment Report itself. And indeed, if this appraisal is cut down by an expert reader in the comments below, then this posting has not been in vain. Aubrey Meyer: Founding director of the Global Commons Institute (GCI) and instigator of the Price of Life Controversy. His criticism of the economic methodology and the uncertainty in the data behind the conclusions of Chapter 6 are taken up by poor country delegations at the Working Group Plenary and the climate treaty talks. 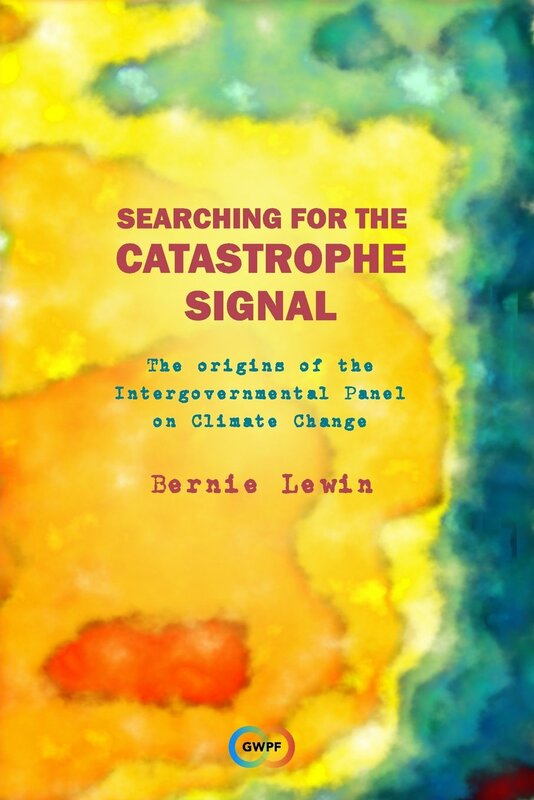 He believes that damages will be much greater than given in Chapter 6, and his critique supports the GCI campaign for the wealthy developed countries (who are mostly doing the damage) to act immediately to stop the warming. Jim Bruce, the co-chair of Working Group III steered the assessment process to its eventual conclusion in Rome by successfully resisting pressure from government delegations to modify the underlying Report while yet achieving inter-governmental agreement on a Summary that did not overly contradict it. The first thing to say about this controversy is that the integrity of the IPCC process was saved. Chapter 6 was not changed after its final drafting by the expert authors. This is true and in accord with the Chapter, as are the proceeding warnings about the unreliability of the data. The emphasis these warnings are given only reflect the intergovernmental reception of the Chapter—which is entirely legitimate. After this opening, the summary of Chapter 6 continues: ‘There is no consensus about how to value statistical lives or how to aggregate statistical lives across countries.’ This is partially misleading. Valuation tables do vary and one cited report (see: this summary) does value all lives at OECD levels. But as for the aggregation of these values across countries through conversion to US dollars, this is only disputed outside the reviewed literature. …the Rio declaration and Agenda 21 call for human beings to remain at the centre of sustainable development. Perhaps it does and perhaps they do. But it is unclear how these statements even add or change anything. If they are meant to contradict the damages findings then they fail. Indeed, the Summary does present all the Chapter’s key findings. And, while sometimes, and sometime curiously, it does reach beyond these findings, in doing so it does not directly contradict them. Thus, overall, considering the extraordinary level of disagreement between the authors and a whole bloc of delegations, this is a remarkably successful outcome for the science-to-policy process that is the IPCC—a credit to those, including Jim Bruce, who managed to hold it all together. The next thing to say is that the authors had good reason for their differential monetary valuation of life. Like it or not, it is in terms of a global currency that government and inter-governmental bodies need to assess damages in order to determine how best to invest their limited resources. The valuation is for assessing the damages of climate change. It does not itself prescribe policy for responding to it. It is descriptive and not prescriptive. But anyway, even if wrongly interpreted prescriptive, it is still not easy to come to Meyer’s dark interpretation—a rationale for the genocide of impoverished nations. Let me explain. At least with the IPCC, if not before, it was never going to be an all-or-nothing equation about whether we were going to stop global warming immediately in its tracks. Early intervention with ‘no regrets’ and ‘easy wins’ emissions reductions are more precisely identified due to this economic analysis. Moreover, with the twin finding of so many more poor lives under threat and their salvation so cheap, the economics of the Chapter suggests that spending money to save the poor is much more cost-effective than trying to saving the few among the rich. In all, it is hard not to be persuaded by a view common to those on the IPCC side in support of the authors. This is that the Global Commons Institute grabbed the opportunity to expose these ‘sensitive’ calculations, to interpret then crudely, and so to scandalise both the authors and their methodology in order to drum up opposition to the Chapter’s moderate conclusions. While these two points need to be made in support of the process and the authors, they should not be used to veil some deeper problems with the Chapter, for they lie as though a thin cementing over a pile of sticks and straw. Probe a little deeper and the Chapter’s surface of scientific plausibility collapses into a jumble of chaotically aggregated quantitative data.